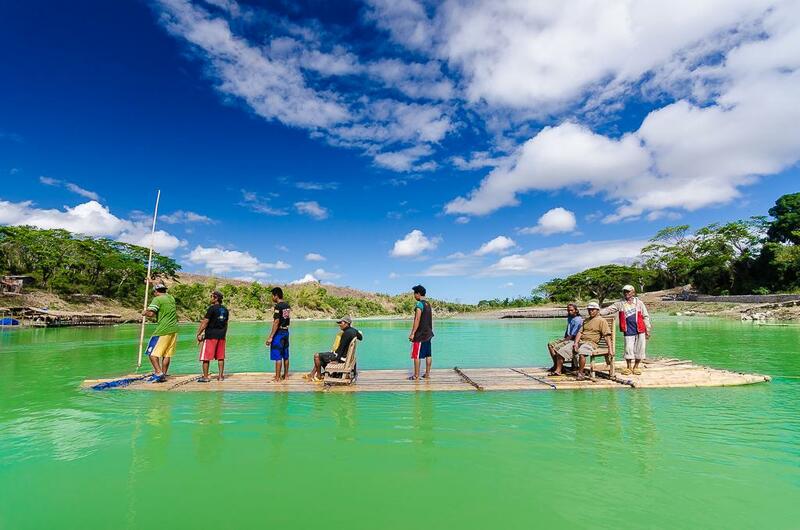 Have you tried island hopping in San Jose, Occidental Mindoro? 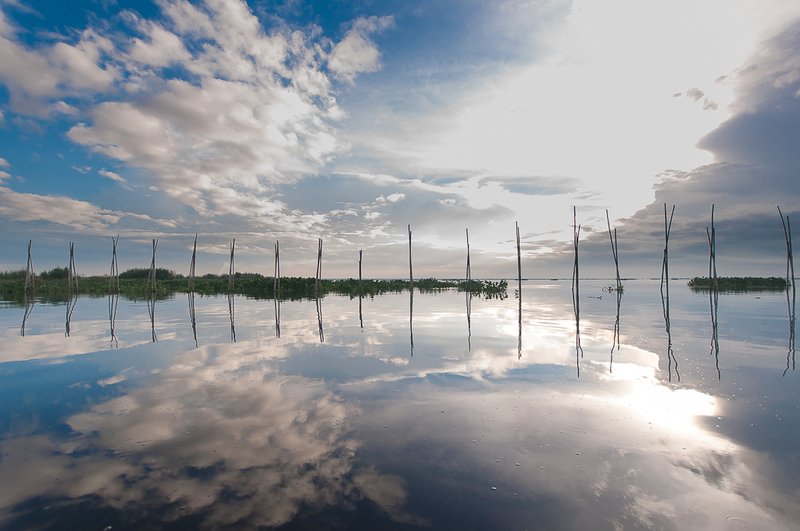 If you have then you must be familiar with these three islands where you can see from San Jose's Caminawit Port. And if you haven't, then let me give you a quick preview of what is waiting for you! We passed through the White and Ilin Islands to get to the farthest two islands, Grace and Ambulong. Grace Island, or Grace Island Resort, is a little white sand island that can be found very near to Ambulong Island Cove. Grace, for me, seems to be cupped and protected of its mother island at the south most part of Ambulong. The whole island was turned into a resort and was developed thereafter into a unique little haven that is best if you are searching for serenity. Available there are zip-line, zoo, floating accommodations, among others. The travel time from San Jose's Caminawit Port is approximately 1.5 hours. 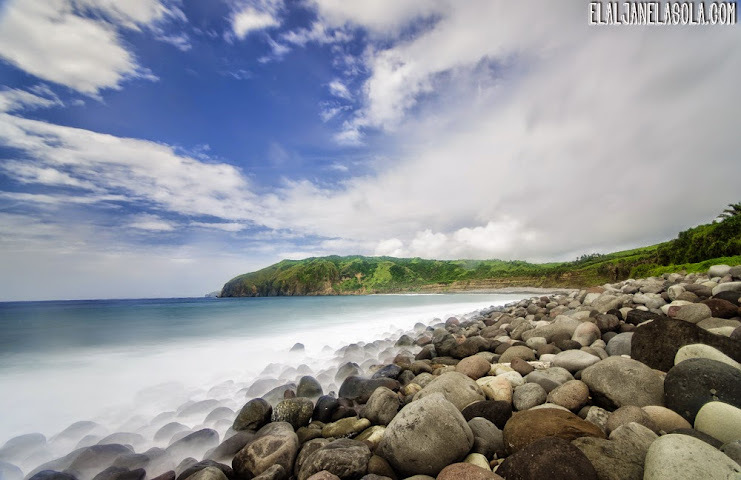 Ambulong is one of the two largest islands near San Jose which is abundant with its fine white sand beaches, cliffs and coral formations. From afar during the boat trip, you can see the fisherman's village located at the sheltered side of the island. 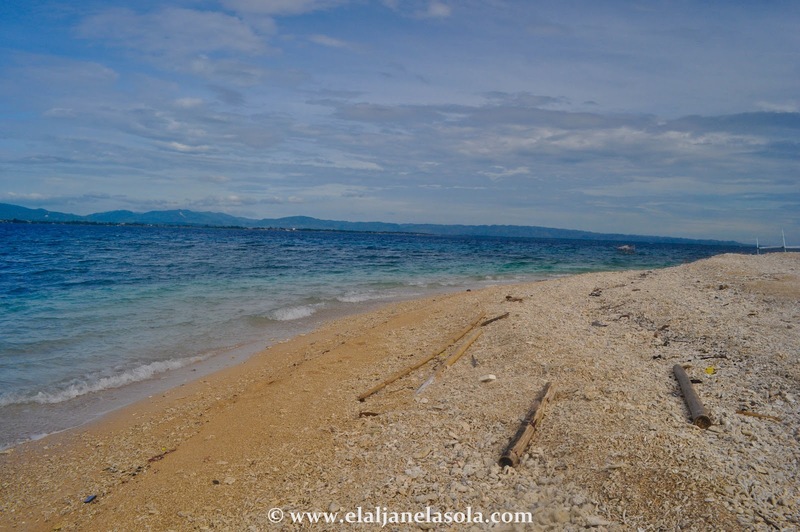 It is also a jump-off point to some of the dive spots in the area, such as the Ilin Point, Baniaga Reef, Ambulong Bank, Dungan Reef, Sardines Reef, Apo Reef, and Manadi Island. Ilin is the largest among the islands in San Jose. 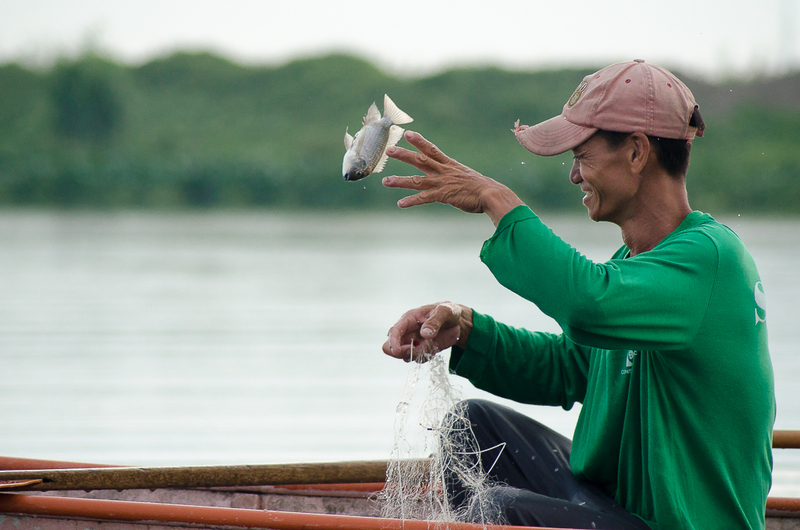 Abundant with shells and coral reefs, the villagers in the islands are mostly shell divers and fishermen. 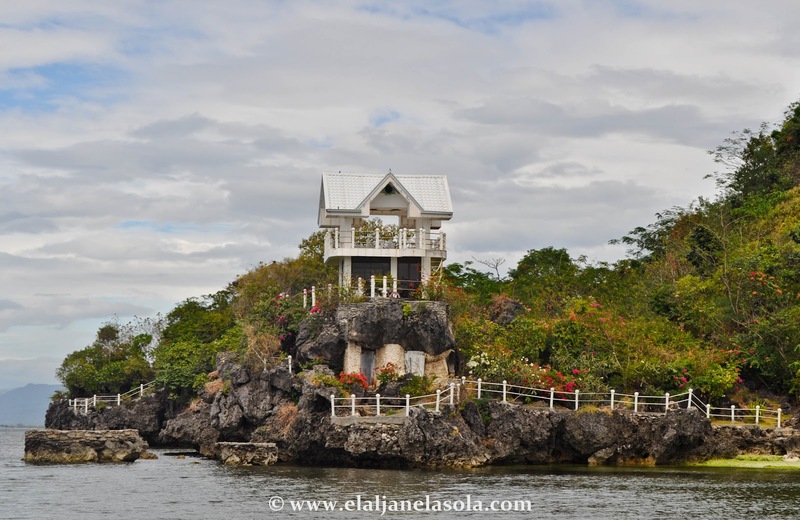 One of the attraction of the island is the Cansubong Cave Resort. 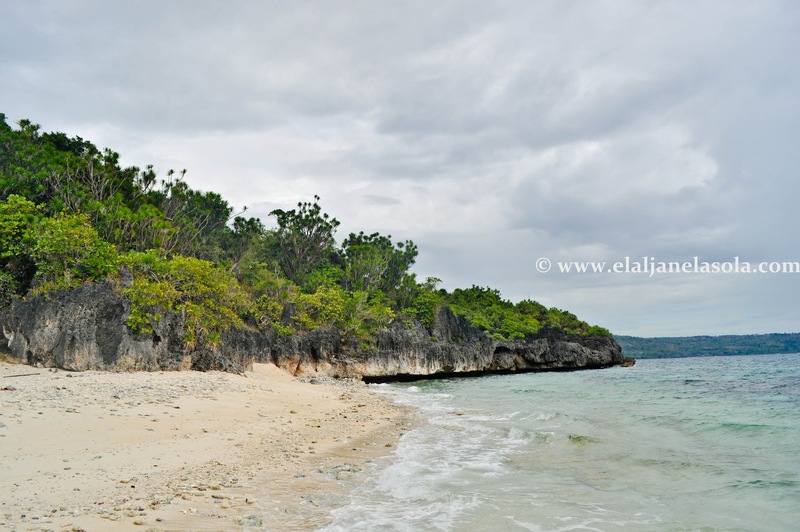 The resort has a pathway made of limestone rocks that leads to the Cansubong Cave. This structure was hand-built developed by former San Jose Mayor Javarata. 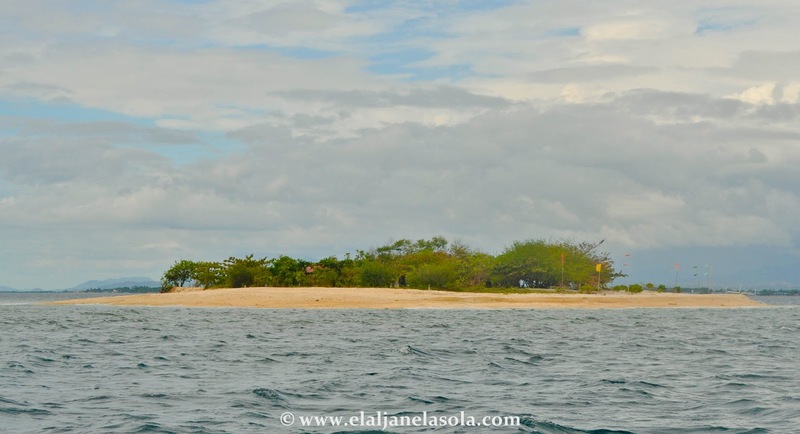 White Island or Manadi Island, is a 15 minute boat ride from San Jose's Caminawit Port and is also located near to the Cansubong Cave Resort in Ilin. It is small powdery white sand beach that you can tour in a few minutes and is also known as the beach where buried turtle eggs are occasionally found. We saved the nearest as our last destination because we planned to stay longer here and take a long dip. I totally enjoyed it but was just disappointed with myself when I realized, when I got back in San Jose, that I left my sentimental and colorful beach necklace on the island. I went there and took these last February. Unfortunately, it was a cloudy day and I was determined to visit the three islands I have researched for weeks. So, I pushed through the plan for island hopping. Expectantly, it was drizzling during our boat ride and it (our boat) was battling with the strong waves of Mindoro Strait. Sadly, because of the strong waves my pink cellphone which I placed at the pocket of my camera bag fell of the sea and rescued by our boat man, but eventually died hours thereafter. For the whole island hopping trip, we rented a boat good for two (which can accommodate up to four) people for Php 1500. Kuya Allan, who drove us around the municipality contacted the boat man. Please note that what I have rented was some local's small fishing boat, if you want to have a better way for the island hopping, you can also contact their Dept of Tourism. For contact details of Kuya Allan, leave your e-mail address in the comment box section. i am from Caminawit. Thanks for featuring my hometown Elal! Thanks. :) You too must try it. sayang talaga hindi na ko natuoy dyan sa mindoro. twice ko na tinangka magpunta, wala pa rin. kelan kaya ako mapapadpad dyan? 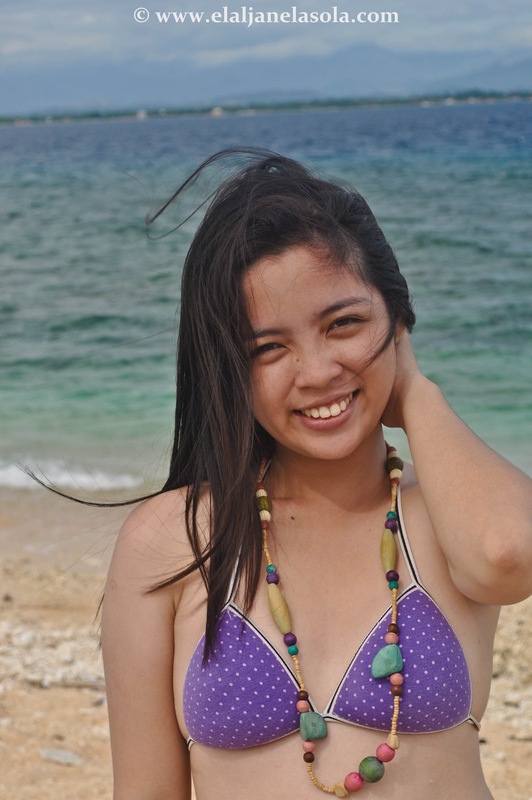 I have worked in Puerto Galera for 4 years but never made it to San Jose! Ganda pa naman pala jan. Btw, not a good idea to post your email, spammers can send you messages! Ive never been there but it looks so beautiful and inviting. Sana makapunta din kami dyan some day. I prefer going to undeveloped islands kesa dun sa mga mega commercialized na. It does! I am hoping to come back on a very sunny day hehe I agree with you, gusto ko puntahana yung hindi commercialized na islands. 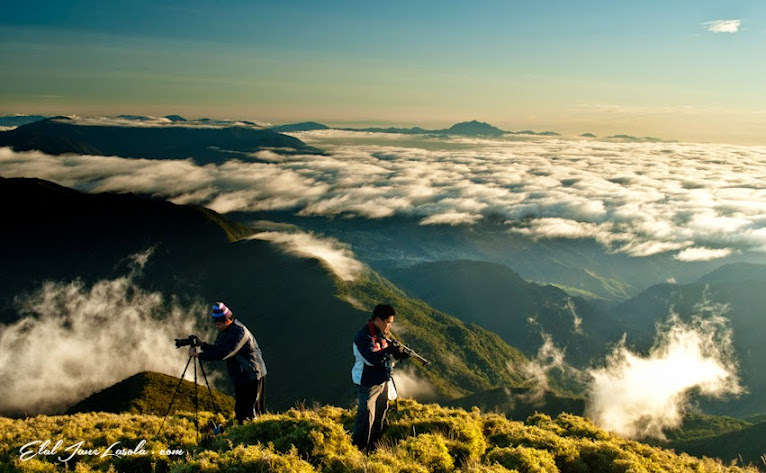 Unexplored and sulit! The necklace will eventually be replaced by someone. hehe.Yaan mo na at least, you enjoyed the exp. of Island hopping.. Impressive shots of equally stunning places. I guess it only makes sense for an archipelago to have such amazing island-hopping opportunities. Salamat Elal, were going to San jose this February, we plan to do island hopping, are we just gong to look for kuya Allan at Caminauit port? My friends and I are interested in renting the boat. Can I have the contact details? @titatita: Kuya Allan is the pedicab driver po. We are going to Sablayan, Apo Reef and San Jose on April 21-26. We will stay a day and a night in San Jose and hoping we could do a quick Island hopping if schedule permits. Can I ask for Kuya Allan's contact number too? Would be a great help and will save us time bargaining the price. Maraming salamat. 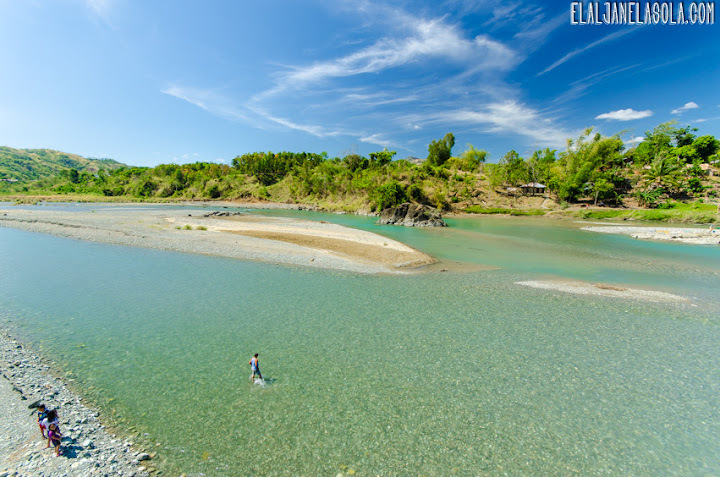 Occidental Mindoro has a lots of things to explore, you can do mountaineering, 4x4 river crossing, and lots of resort for local & foreigner tourists. You won't cost to much in exploring the island... everything is fresh from air you breath to the food you eat! I Love This Place... Simply San Jose! 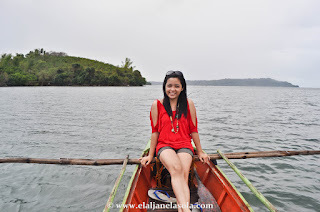 To Ela, thank you for giving others a chance to see what you have experience during your stay in San Jose, Occ. Mindoro. 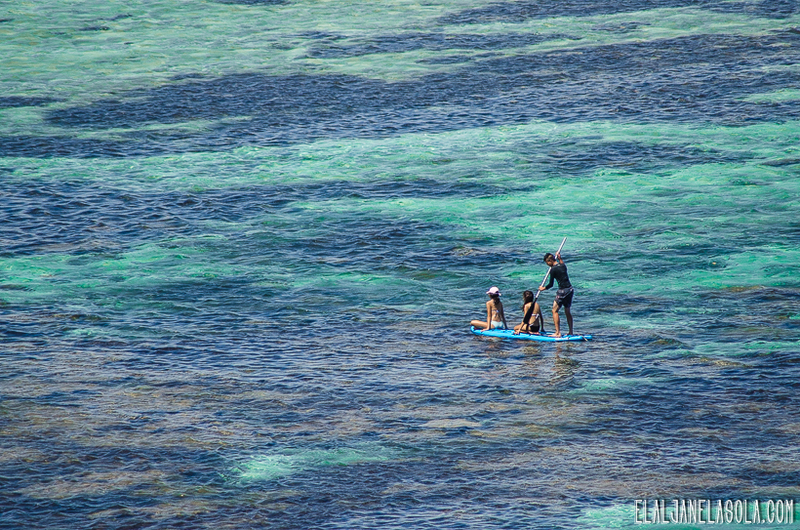 Yung 1500 for island hopping standard rate or natawaran nyo lang? Hehe. Pa-send na rin contact info ni Kuya Allan to pinoytravelfreak[at]gmail.com - Thanks! Emailed you ces and gab! Cheers! Thanks for the wonderful input there about your place! Hi. May i ask for kuya allan's contact info? My email ad: kulotsiching@gmail.com. thank you. nice blog.. dear, can i get Allan's number? thanks for sharing this.. nice getaway! btw, can i get Allan's number? Thanks a bunch! Hi, Elal. Nice pics :) May we get the contact details of Kuya Allan. PM me pls at arsen_asistin@yahoo.com. Thanks! Hi Elal. Thanks for this post. I would highly appreciate it. hi! we're planning to go to san jose this October and planning to go for island hopping :) how'd you get in contact with allan or can i have his number too? was it 1500 for the boat in total or 1500 for each person? Could you please send me kuya Allan's contact details to annieams@gmail.com? Thank you. Kindly email me (ellen_bajarla1986@yahoo.com) the contact number of Kuya Allan.